The Phoenix Police Department has concluded its investigation of Tempe City Councilman Kolby Granville and did not find evidence to warrant criminal charges. A Tempe charter school fired Granville from teaching in December. Former students alleged he made unwanted sexual advances and provided them with alcohol after they graduated, but were underage. A third woman accused Granville of misconduct in a complaint filed to the Arizona State Board for Charter Schools. The Tempe Police Department asked its Phoenix counterpart to investigate the claims to avoid conflict. A Phoenix Police department spokesman said none of the three alleged victims would aid in the prosecution. The report concluded there was not enough evidence for criminal charges. 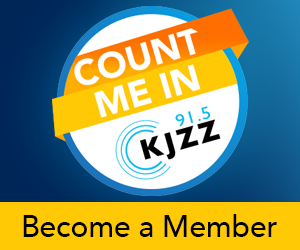 KJZZ has requested a copy of the investigation. If Granville was convicted of a crime involving moral turpitude, he would automatically forfeit his seat on the Tempe City Council. Moral turpitude is a legal phrase that means a person violates community standards. Tempe's code of conduct says to conduct business legally and ethically beyond reproach. Tempe's employee handbook calls unwanted sexual advances unacceptable behavior in the workplace. The City of Tempe released a statement saying the city's police department, city manager and attorney were briefed on the investigation. The full investigation will be available to the public Monday. "Once the report is received, it will be used by Tempe to make determinations about how to proceed with a separate City Council Code of Conduct investigation," the statement read. Censure, a formal disapproval, is the maximum penalty for a Code of Conduct complaint. KJZZ has reached out to Granville for comment.